If you’re looking for professional garage door repairs and maintenance in or around the city, look no further than Garage Door Repair Cypress. We provide a wide range of services that include repairs, maintenance, and installation. Our repair service includes both mechanical and electric parts of your garage doors. We can assist with everything from a well-worn hinge to a damaged drum, from a faulty sensor to a broken chain. 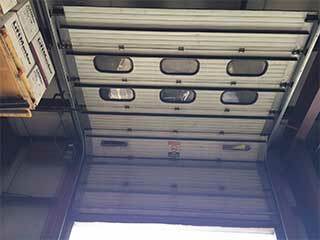 We’re able to replace damaged door panels or repair faulty fasteners, all the while ensuring that your system continues to operate to the best of its ability and under the safest possible conditions. The invention of the automatic door was one that we all can admire, not only because it made our lives that little bit easier, but because it also made our homes that much more secure. The part of your system that allows all this is the opener, and it's a wonderful part. That is, of course, as long as it's working. Once it stops functioning properly, it can be a real pain in your side. If you’re faced with such a problem, things aren’t quite so easy. However, we can take care of that for you, as we provide repairs and replacements for a wide range of opener models, as well as their many different parts, including the motor and. To get the most out of your garage door, you need to ensure its springs are in a good condition. If they get worn out or damaged that means your door can quickly be rendered unusable. You may feel tempted to try and fix these components by yourself. We urge that you don't do that. Springs are under a great deal of tension, and handling them without the proper training can be downright dangerous. Our professional technicians can provide you with the necessary replacement or repair, whichever solution the situation merits. You don’t have to wait until your garage door breaks down to take care of it. Our special maintenance service is designed to prevent small issues from growing into bigger problems. Be sure to contact our Garage Door Repair Cypress team for any type of service you may need. You're welcome to learn more about any of the garage door services we offer by contacting us today.